Here's just a small sampling of the projects we have completed over the past year. May 2018, CORE placed two winch anchors and built a barrier fence to keep users on the trail and to alleviate winching to trees. Grizzly Lake won a 2017 BFGoodrich Outstanding Trails Grant to fund the project. July 2018, CORE built barrier fences to keep users on contrail and to protect a grassy area near the Hancock Pass Summit. Users created this off-trail issues by going around snow drifts early in the 2017 season. Please remember to always stay on the trail! After an unfortunate off-road accident that took the life of the driver. CORE helped organize, plan and execute a recovery of a Jeep the tumbled 450' off the trail. 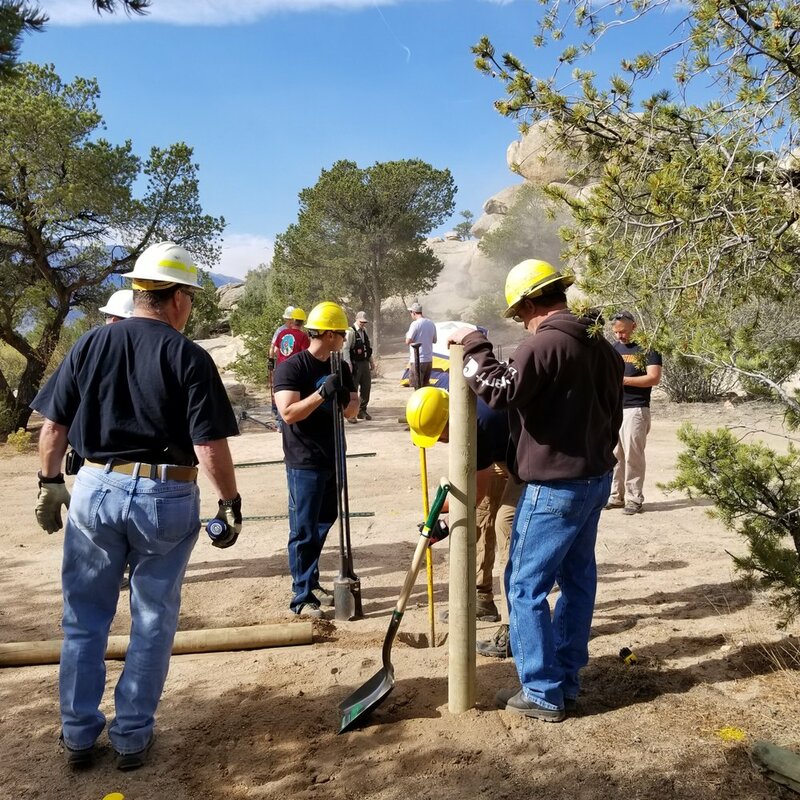 This was a 3 week process and involved the Colorado Rock Hopper Club, Colorado 4x4 Rescue and Recovery and the Forest Service. Groups from all over the state came together to complete a 14er Fest Project as part of the event and for National Public Lands Day. Groups represented were: TrailsOffroad, Colorado Jeep Girls, Ute Pass Iron Goats, Mile-Hi Jeep Club, Colorado Association of 4-Wheel Drive Clubs, Friends of Fourmile, BLM, Forest Service and CORE. A barrier was constructed to help contain a campsite that had become extremely large over the years. 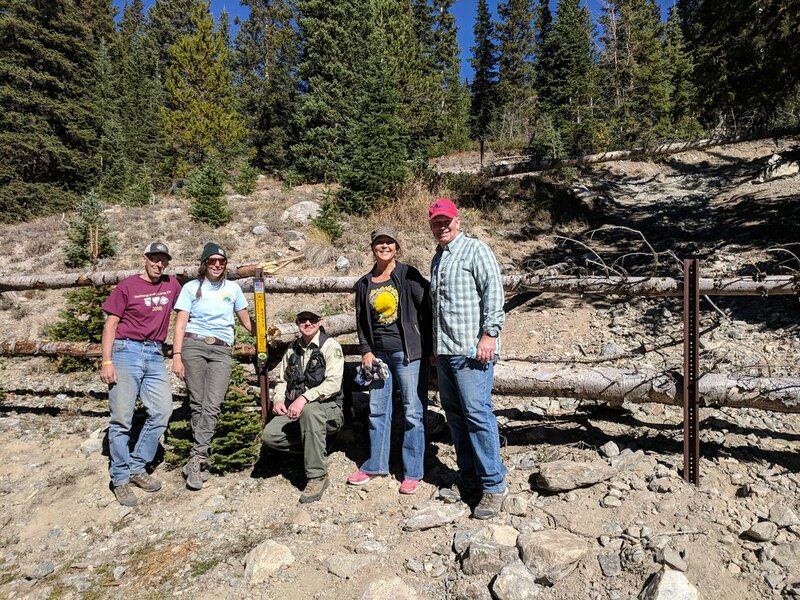 Colorado Stay the Trail, Well Sorted Automotive, Forest Service and 14er Fest Participants all joined together to complete a project on the Ptarmigan Lake Trail. Users were cutting a switchback causing the main road to become extremely narrow. Logs were placed on u-channel posts to mitigate this issue. CORE members help an out-of-state visitor recover his 4Runner after he slid off the edge of a narrow shelf road and unseated a tire bead. The vehicle was stabilized, lifted with a jack, the tire was changes and the vehicle was then recovered back on the road. The driver was then guided in reverse back down the narrow road.